Hello MH, weekend is near and we have activities for you again! 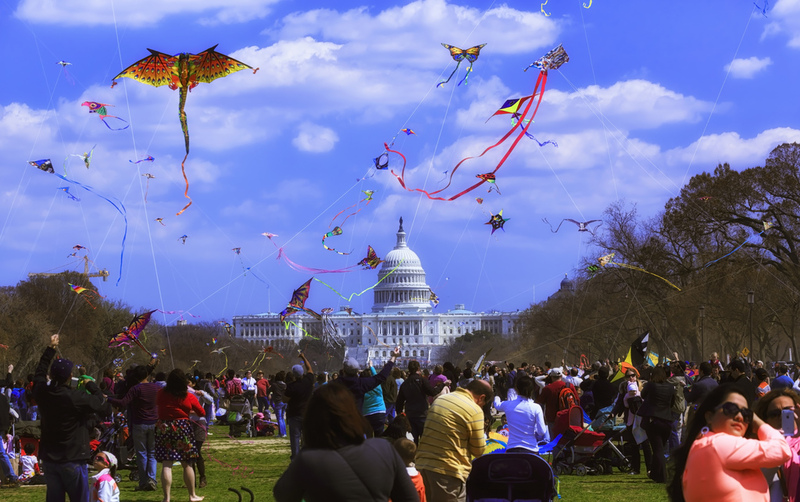 This time it's the Blossom Kite Festival held on Saturday, April 2, on the grounds of the Washington Monument near 17th Street NW and Constitution Avenue from 10 AM to 4:30 PM. At this free event there are many things to do and see. No matter if you were looking for a chance to show off your own build, fly a kite or just admire other peoples creations, this is your event! There are even activity stations where children can create their own kites, as long as supplies last. Got your own kite? Why not enter the Kite Makers Competition? The adult competition (16+) will be held between 11 AM and 1 PM (registration from 10 AM to 12:30 PM) and winners will be announced in the afternoon, towards the end of the Kite Festival. The youth competition will be held from 11 AM to 12 PM (registration 10 - 11 AM) and winners announced shortly afterwards. Each of the competitions has various categories and prizes for winners accordingly. You can find more information here. If you don't want to fly a kite, there are various demonstrations going on. In addition to the competitors flying their kites, there's a lot to see on the two fields. While the Competition & Demonstration Field will for example host kite ballets, tricks and a show of kites of the decades, the Family Field will host a Mini Rokkaku Challenge, Bol Races and be open for families to fly their kites from 3 PM on. A schedule for exact times can be found here. Stay tuned for news on more activities surrounding the National Cherry Blossom Festival in the coming weeks.